Lynne Pleuthner Green, 80, passed away peacefully September 3rd, 2018, surrounded by family members and loved ones at Glenwood, her favorite place in the world. Lynne grew up in Scarsdale, NY with her parents, Katharine and Willard Pleuthner, and two sisters Kit Walters and Anne McCall, who predeceased her. 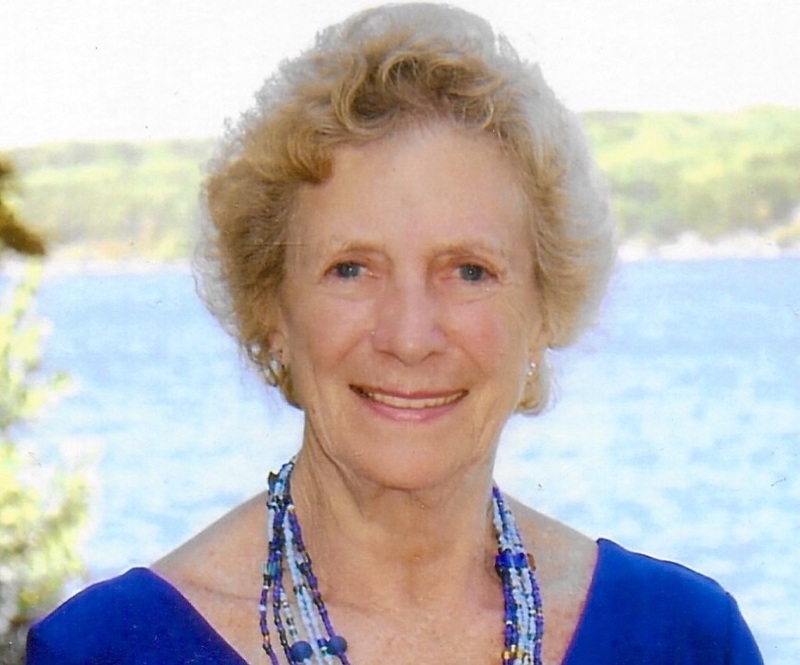 Lynne attended Edgemont School and graduated from Bronxville High School, where she made long lasting friendships. For decades she helped plan the high school reunions, and as one high school friend recalled, “she was the glue that kept us together!” After high school, Lynne attended Wheelock College in Brookline, MA and went on to work in NYC at Time Inc. Soon thereafter, Lynne married Andrew Green, and they raised their two children, Tracey McManus and Carl Green, in Ridgefield, CT. For many years, Lynne worked at The Ridgefield Medical Group, as a beloved secretary. Lynne cared deeply for her community and was involved in volunteer opportunities every chance she had. There was no limit to her kindness, bringing homemade chicken soup to those who were sick, and delivering scores of her famous pumpkin bread for the holidays. Lynne carried on these traditions when she and Andrew retired to Keene, NH. Lynne’s spirit lives on inside all those that knew her. Lynne loved being a grandmother, to her daughter Tracey McManus and son-in-law Paul McManus’ children, Casey McManus, Kevin McManus, and Katie McManus of Newtown, CT.
She spent summers at Glenwood with her grandchildren, who affectionately called her ‘Honey’. She also has loving nieces and nephews: including Katharine Dunlap, Cheryl Speno, Debbie McInerney, Tara Gwyn, Todd Walters, Karen White, Brooke Mayger, Laura Pasternak, Merideth Johnson and many more great nieces and nephews whom she adored. Lynne was a woman who seized the day! She was a fabulous cook, who made cookbooks for the young nieces and nephews filled with longtime family recipes. She also was an avid gardener who landscaped her home “The Bungalow” with beautiful flowering plants; no weed was safe when Lynne was around! Lynne cared deeply about family history, keeping meticulous genealogy and yearly guest books filled with family photographs. More so, she was a talented knitter, who made beautiful heirlooms for loved ones, with baby blankets and sweaters abound. Lynne was a knockout “lefty” who took on friendly competition on the tennis court, enjoyed watching birds that visited her home on the lake, and always made time for 5:00 pm cheese and wine with guests on the porch... “more brie please!”. In her last few years, she snowbirded to Homosassa, FL with her love, Craig Blaine. They enjoyed beach strolls, sightseeing car rides, and creating fabulous meals. Lynne was a woman who put family and friendship above everything else. In her final weeks here on Earth, she had friends and family gather to see her, celebrating the love they all shared and reminiscing about treasured memories. Lynne always said, “Love is grand!”, and we are so thankful for the love she shared with us all.